Potatoes are usually boiled or baked and then served alongside meat and vegetables. Either that, or they are the focal point of any filling casserole dish. But the yummy tuber can be much more than just a high-carb side dish! 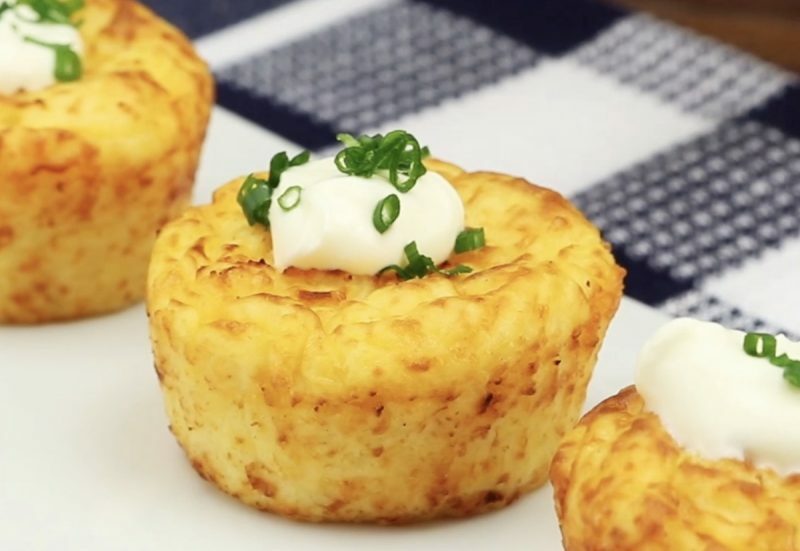 The following 11 recipes will show you how to take potatoes to the next level in no time. Mashed potatoes or fried potatoes? Well, now you no longer have to choose! This recipe combines the soft comfort of mashed potatoes with the crispy goodness of pan-fried. And there's more: the meat portion of your meal is taken care of as well! Get the full recipe and instructions here. 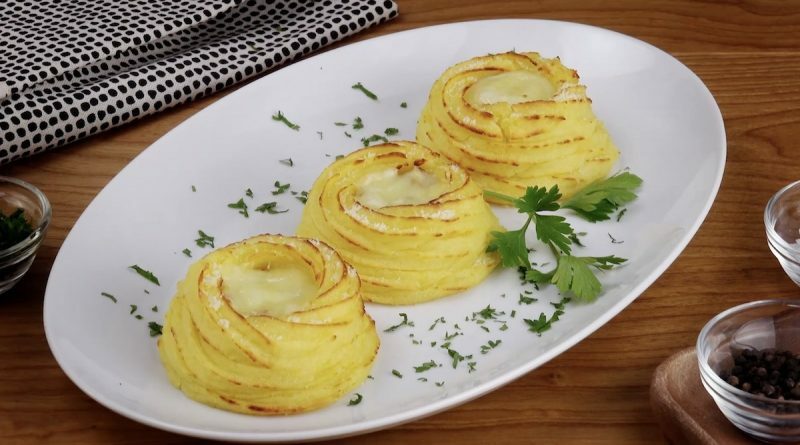 It hangs out at festivals and street fairs, looks really cool, and tastes even better: the potato spiral. 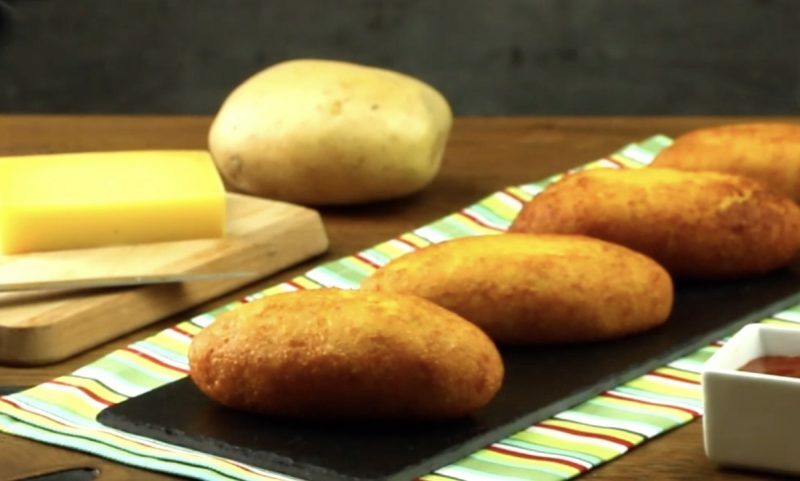 But why spend money on one potato, when you can buy a sack full, and easily prepare this delicious snack at home? Get the full recipe and instructions here. Pleasantly warm, soft, and encircled by a protective wall: that's exactly how a nest should be. However, today we're not building a new home for baby birds, but looking at a new way to enjoy cheese and ham. 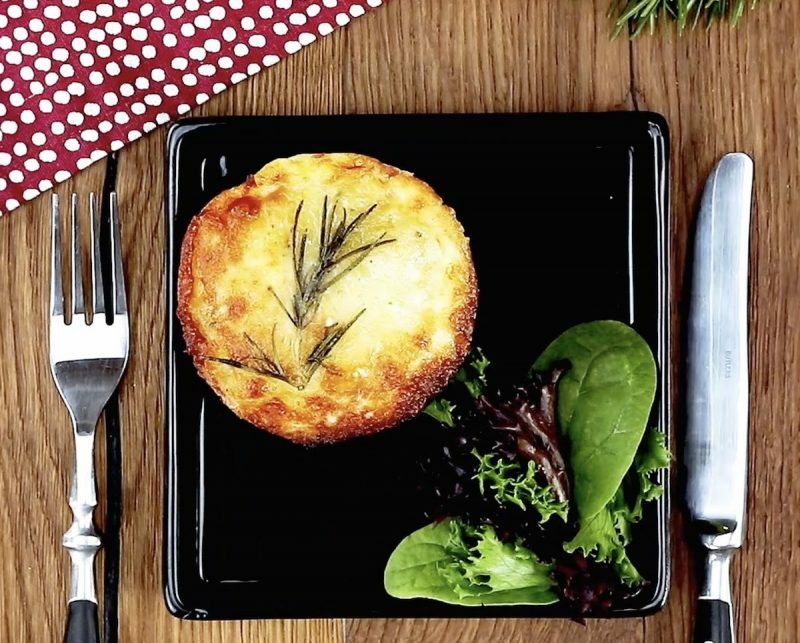 Of course, you can prepare these hearty cheese nests with a different filling, perhaps a mixture of four sorts of cheese or with diced salami. Let your inventiveness know no bounds, and above all — Bon Appetit! Get the full recipe and instructions here. Drop shredded potatoes into a large bowl of ice water to remove surface starch and let soak for 10 minutes. Add butter, cheese, eggs, chives, garlic, oregano, and salt and pepper to the shredded potatoes and mix together. 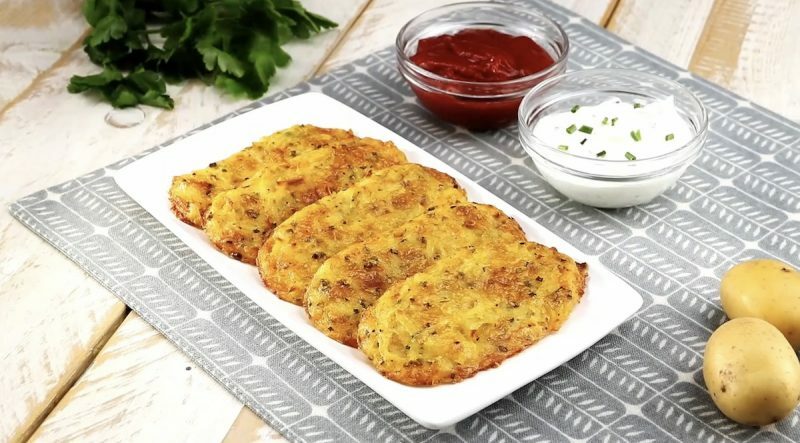 Take a handful of the mixture and form it into a hash brown patty. Repeat this process until the entire potato mixture is gone, and place the patties on a sheet pan. Bake 20 minutes at 390°F. Have a few unspoiled potatoes lying around? Not sure what to do with them? 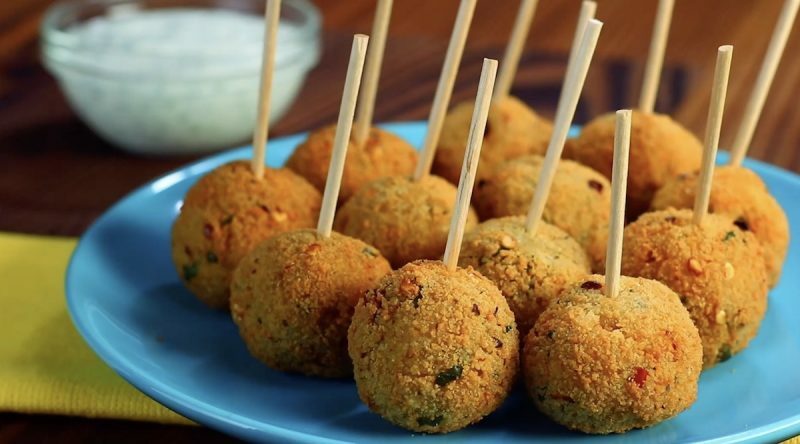 Before tossing them out, you must try this incredibly easy recipe! 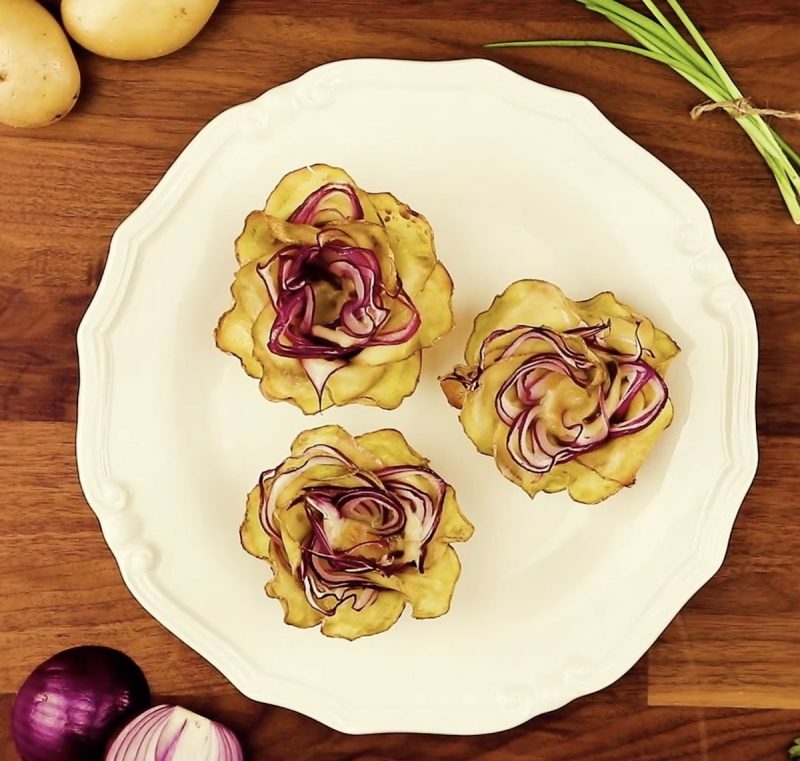 Using only five ingredients, potatoes are about to get a whole lot more attractive! Get the full recipe and instructions here. If you have a potato fan at home (or maybe more than one! ), you're going to have some happy campers after you put this fun-sized treat on the table. And the even better news is, all you have to do is slice, sprinkle, stir, stack, and stick it in the oven! Get the full recipe and instructions here. The following waffles may look inconspicuous, but looks have always been deceiving. One bite, and you'll marvel at the flavor-packed complexity! This recipe can be adapted to suit individual tastes. 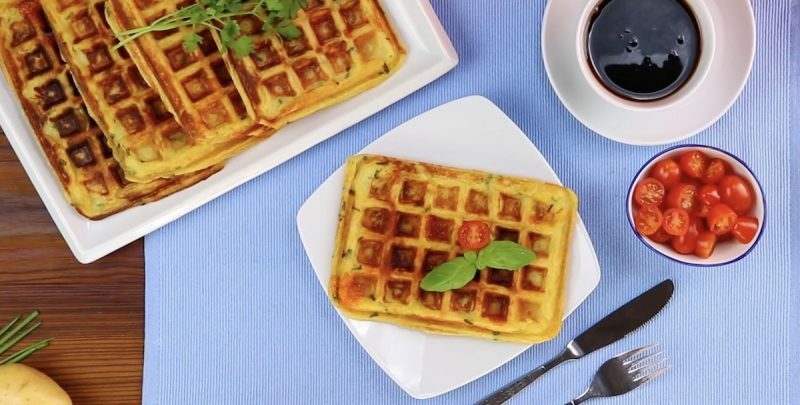 No matter which way you go, these savory waffles are sure to delight everyone at the table. Get the full recipe and instructions here. Is there any room that isn't cheered up by a beautiful flower arrangement? Well, the same principle applies to a dinner spread. Not only are these creative blossoms a feast for the eyes, they'll have your tastebuds ooh-ing and ahh-ing right along! Get the full recipe and instructions here. In Spain, there's no way of avoiding this special meal. Of course, we're talking about tapas. These tasty dishes are one of the many culinary highlights when taking a trip to this sunny part of the world. 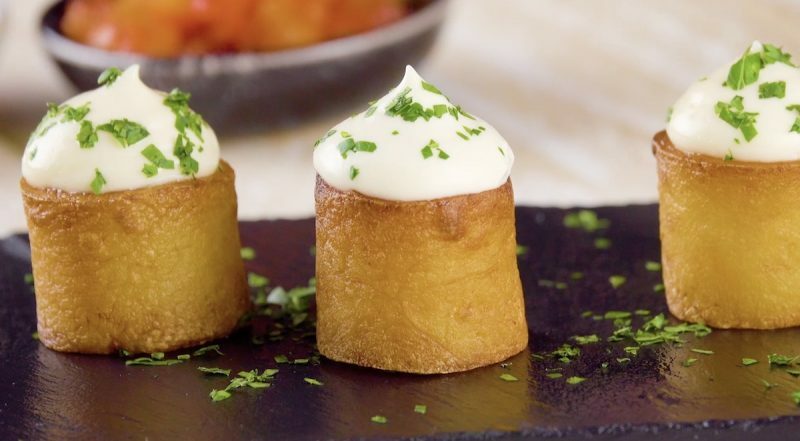 In this recipe, you'll find out how to make one of the most famous items on the tapas menu — patatas bravas. Get the full recipe and instructions here. Delicious side dishes are a must for every Sunday roast dinner, but it can be a complicated affair. Either you rely on the classic, yet basic, staples, such as rice, baked potatoes, or pasta noodles, or you feel the need to whip up something seriously elaborate and out of your league. The following recipe shows you a surprising and simple method for a brilliant, yet easy-to-make, side that's guaranteed to shock and awe! Get the full recipe and instructions here. 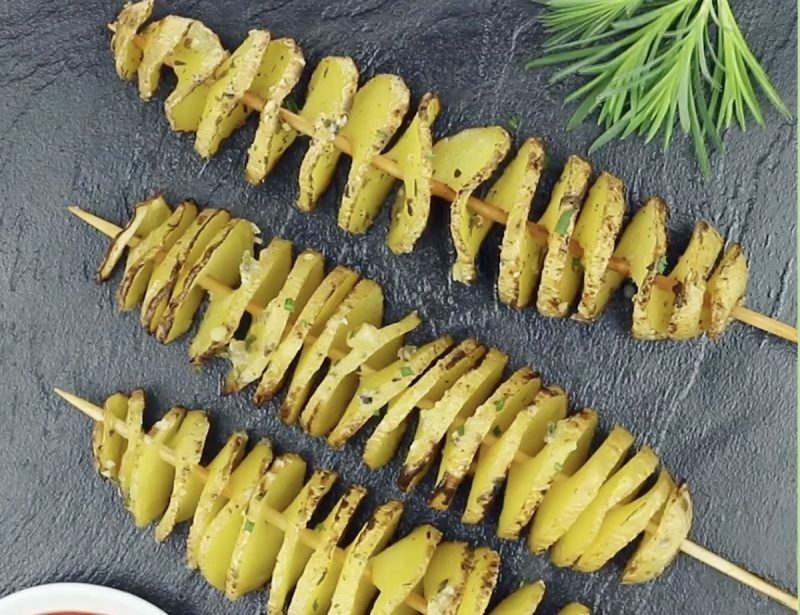 If you're looking for a vegetable that has proved its versatility time and time again, look no further than the humble potato. This root vegetable is so versatile that it has more possibilities than there are colors in the rainbow. An added plus: potatoes can be your main course, a side dish, or just a small snack. If you're looking for the latter, this tasty recipe will bring an Asian-inspired, fresh-tasting snack to your table, with a pinch of cilantro and ginger. Get the full recipe and instructions here. Who would have thought that potatoes could be so exciting? Have fun cooking!